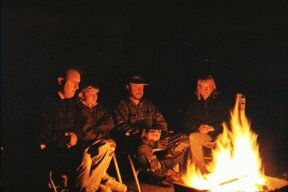 After a day of hiking and other fun-filled activities, we will gather on certain evenings around a campfire to share our tales of adventure and personal experiences. The scent of campfire smoke, the warmth of the fire on a cool evening, and the glowing flames will burn pleasant memories into your soul. No charge. Sweat lodges will be available in the future. Both of these activities are weather dependent.